This week we look at the Prophetic Profile of the Church of Sardis. This week we look at the Church of Pergamum and we discover what Jesus has to tell to us. This week we look at the church at Smyrna and look at what it says to us today. This week we look at the letter to Ephesus and we discover what it means to us today. 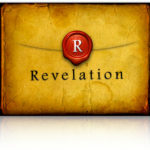 This week we look at Revelation chapter 1 and see the vision of Christ Given to John.